Do not know the mountain Huayna Picchu? Then see an image of the classic postcard of Machu Picchu, now you see the mountain behind the Inca city, that is the Huayna Picchu; Is one of the most amazing places that exist in Machu Picchu. Many people book the tickets to Machu Picchu to enter the Huayna Picchu Mountain,with months in advance. There are only 400 tickets available for each day, for adventurous people who want to travel this fabulous mountain to the top. The Huayna Picchu mountain offers the most amazing short walks in the whole world. Huayna Picchu means young mountain, and is one of the most incredible experiences you can have in Machu Picchu and the whole world. It is one of the mountains between which the Inca city is built and although it seems to be inaccessible to the naked eye, it offers one of the most amazing short walks in the world to its summit. How is the walk through the “Wayna”? To travel the Huayna Picchu mountain to the top, you will need to overcome your fear of heights and have in your possession one of the 400 tickets Machu Picchu + Huayna Picchu available. If you do, this is what you will find. The road to ascend the Huayna Picchu mountain begins in the Inca city of Machu Picchu and is considered by many as one of the most amazing short walks that can be done in life. Its incredible “vertigo” trails along cliffs hundreds of meters above the Urubamba River pose a challenge rather than challenging and stimulating, are narrow and are built between the vertical walls of the mountain and cliffs hundreds of meters. These make many people think twice before deciding that they want to be there; What’s more, there are people who suffer from panic attacks as they ascend. So if you suffer from vertigo or are afraid of heights, you’d better choose Machu Picchu Mountain, or one of the other incredible short hikes offered by the Machu Picchu National Park. After surpassing the incredible trails to reach the top, you will feel emotions, as if you are on top of the world. From here you can take some of the most breathtaking views you can get from the Inca city of Machu Picchu, from above. Entering Group 1 will allow you to see how the morning fog dissipates over the city of Machu Picchu, as an artist who reveals his masterpiece. On the other hand, Group 2 will allow you to see the Inca city of Machu Picchu under a radiant sun and in all its splendor; you choose. Many people have undergone radical changes in their way of seeing things after reaching the top of the Wayna. It may also happen to you. Many places in the world have incredible beauty like Machu Picchu, but many of the people who walk the marvel do not always remember the astonishing Intihuatana or the imposing Temple of the Condor. If you can book one of the 400 tickets to enter the Huayna Picchu mountain on time, you will surely remember the stairs of death more visually terrifying and intimidating than they can be. The stairs of the death is a section that will have to cross to descend of the mountain; And although they seem to be drawn from a painting by MC Escher, do not worry, no one has died on these stairs; But if it has made dozens of people feel an indescribable panic; However, if you can overcome this fear, you will have walked the stairs of death in Huayna Picchu and lived to tell it. 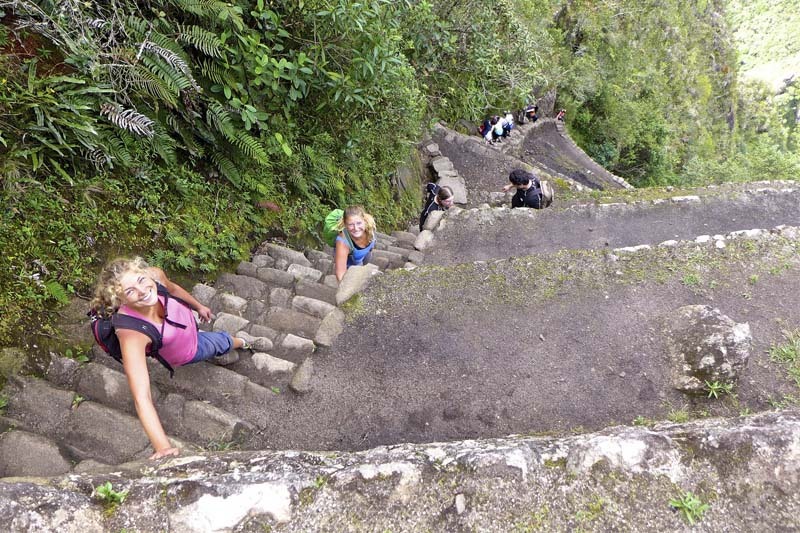 The Temple of the Moon is the reward for people who manage to overcome the stairs of death in Huayna Picchu. 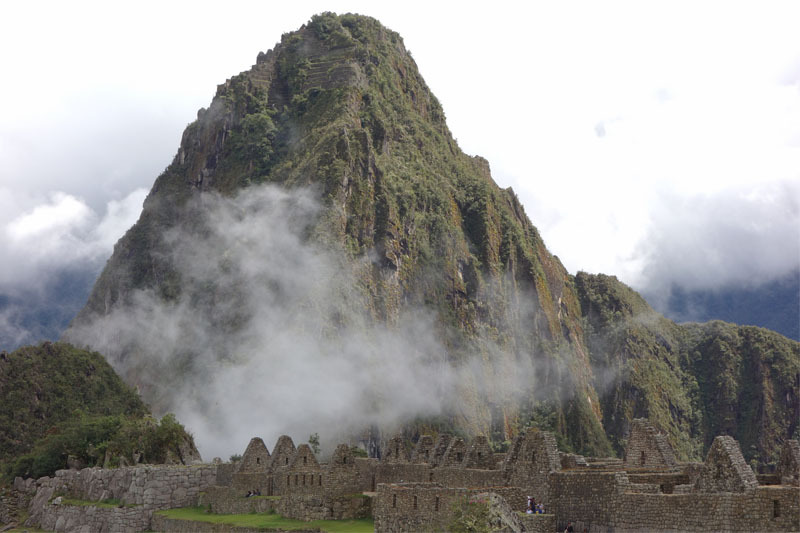 This temple is one of the most incredible pieces of Machu Picchu and is very close to the top of the mountain. It is built inside a natural cave and has one of the most detailed stone work in the entire sanctuary; What is more, the structures inside make it imagine that it would be more than just a temple of moon worship. It is more like an astronomical observatory, but it also has truncated gates, much like the so-called “interdimensional portals” that are mentioned in other “energetic places” and sacred places of ancient cultures. 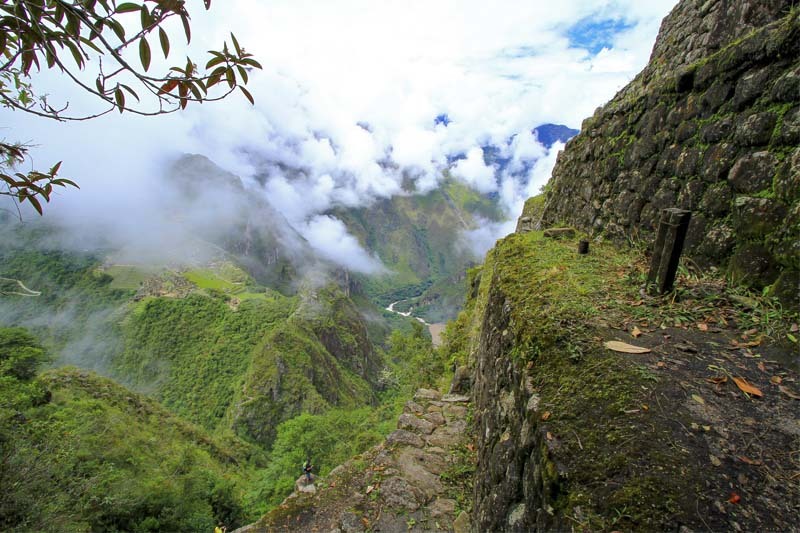 When is the best time to ascend to the “Wayna”? You can climb the “huayna” whenever you want as long as you book the tickets in advance; However, the rainy season adds difficulty to the ascent; In addition, you will need to take a little more care and wear a rain poncho, but coming the rainy season has many other advantages; Among them, that you can have the Inca city of Machu Picchu with the least amount of people possible.